Sounds great wish you a lot the best. i have the mod for 1.11.2 but whenever i place a block the texture doesn't show up. I can see the outline but not the texture. Help please. Do you have VBO enabled? What Forge, Minecraft, CreativeCore and LittlesTiles versions are you using? Are you using Optifine? I use the 1.11.2 verion of forge and minecraft, creativecore version 1.7.4 and littletiles version 1.4.3. No i don't use optifine. Could you please update to LittleTiles 1.4.10 and see if it is fixed? LT v1.4.8 (1.10.2) have little bug. In case of placing in new block space all bits there becomes invisible, helps only reentering the world (didn't tested chunks unloading yet, but F3+A is useless, also it works in past versions). Upd: Chunks unloading gives bits back, but it's not fixing of the problem. Could you please update to the newest version of CreativeCore and LittleTiles and see if it still occurs? Hehe, i just forget to update LT, sorry. Crashes my game whenever I place the custom blocks. Any fix? Please send me the crash report. Note that i don't support 1.7.10 anymore. Please download my mods from curseforge and not from any other website. Those are illegal, i don't earn money from them (you don't support me if you download there). Most likely those downloads will not work or you will download a virus instead. I would like to ask a question about 1.2.0. Yes, I understand that this is way behind, but still. 1. Can I break little tiles construction with some sort of block breaker, and then have it placed by block placer? Tinkers Construct drawbridge, for example. 2. Moving things. I've seen previews on Youtube, but did not understand which relate to what version of the mod. Are there moving things in 1.2.0? 9minecraft is actually one of the worst out there, just download the newest versions from curseforge and everything should work just fine. Nope. Everything other than CurseForge and mod-developers personal websites - is shady. However, some of these shady sites have well-written tutorials on various mods. I'm having a little trouble with a door I'm trying to make. It's more my fault than anything probably because this door is huge. 19x19 blocks I think. Anyway. It lets me make the door but it crashes with the "Payload may not be larger than 32767 bytes" exception when I place it. Never mind. It was a crash with The One Probe. Turned that off and it doesn't crash anymore. It does stutter a bit when moving. Blocks get a little misplaced but at leased it moves. I was also wondering if there is a way to activate these doors with redstone somehow. I tried using a mechanical user to right click it but that doesn't seem to work. WOW your door looks amazing!!! Yes i need to solve out some existing issue with doors, the stuttering will hopefully be fixed soon, but blocks shouldn't be misplaced (maybe you can explain that one a little bit more). Redstone doesn't work yet, but it is planned to be a feature of 1.5.0. Don't look at different lever lenght, just scheme. Haha thanks! 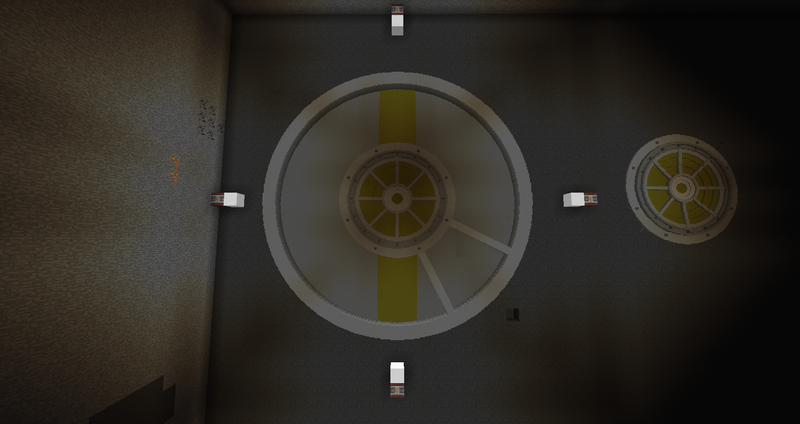 It's modeled after the big door you find at the beginning of Chapter 6 in Portal 2. Sorry, misplaced was the wrong word. It's more like the door starts moving but there is an image left behind until the door moves upwards a couple blocks, then the image jumps back up to match the movement. I can't wait for redstone! It would be so much fun to have a bunch of sirens and lights flashing as this door opened. Addition to bus door, i forget rocker, that should be in one line with rotating tube. 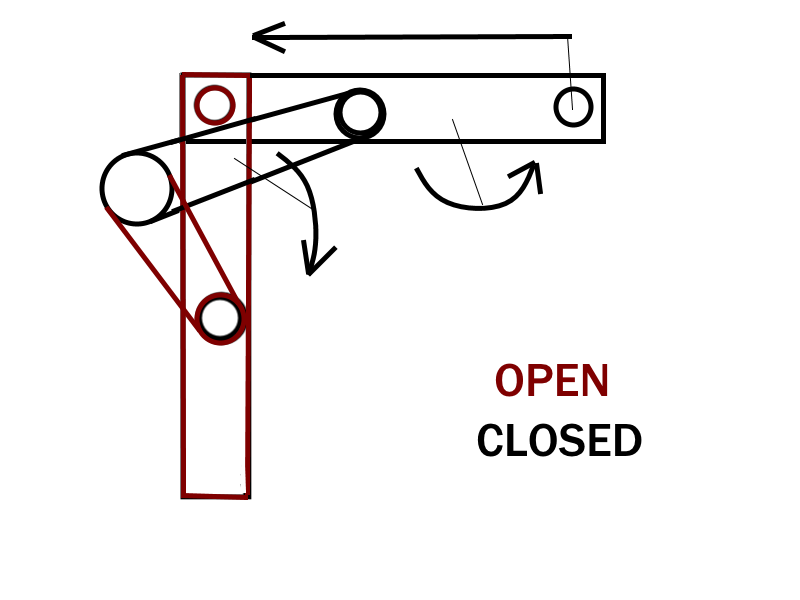 In this case lever on scheme works correct.